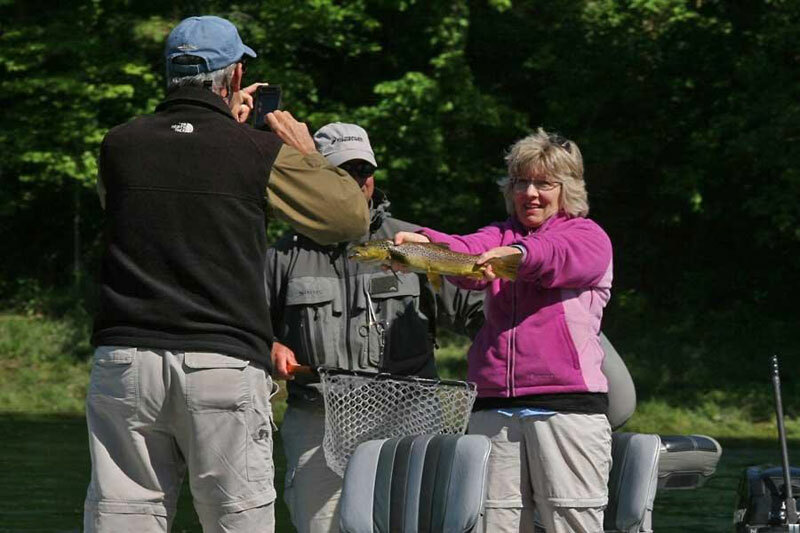 You can learn a whole lot from a professional fishing guide ... some of it applies to fishing. Most of it, however, applies to life and fishing. Each March for the past few years, I've quietly cleared a space on my calendar for an event called the "Gaston's Gathering." 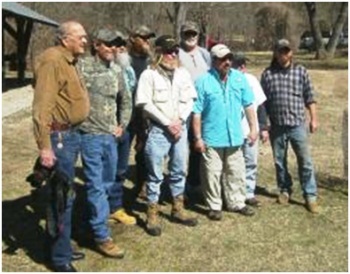 It's a two-day retreat where outdoor writers, editors and photographers fortunate enough to be included on the guest list have the opportunity to come together at Gaston's White River Resort in Lakeview, Ark. For those of you who aren't familiar with the area, Gaston's bills itself as the country's finest fishing resort. It's located down the White River from the Bull Shoals dam, on what is, arguably, some of the most productive trout water in America. I've caught rainbow, cutthroat and brown trout there, and have been fortunate enough that some of them have been the kind of trout many of us fish a lifetime without catching. 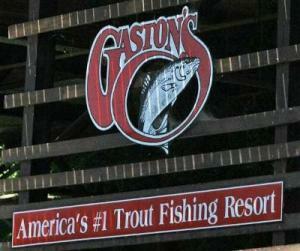 Gaston’s claims it’s America’s top fishing resort. Gaston's is a family-owned and operated business, and has for the past half-century or so been managed by Jim Gaston. He's a gracious host, fellow photography enthusiast and collector of all manner of cool stuff. Gaston's great restaurant -- literally built out over the water -- boasts great food, along with a ceiling full of some of the most interesting gear you'll ever see. The collection includes vintage fishing motors, bicycles, signs and about anything else that's caught Jim's interest over the years. Cases inside the restaurant, hotel office and gift shop are full of other interesting collections, from old safety razors to watches and some amazing fountain pens. It's the kind of place where you can bring your spouse, children and even the family dog and be assured of being treated like family. If you'd like to know more about Gaston's, you can visit www.gastons.com and check it out for yourself. And before you ask, yes most of the cabins and lodges are pink. There's a story there, but no space for it here. Gaston's also has a collection of fishing guides that are, in every sense, pretty unique characters. They include lifelong natives, "transplanted yankees" and others who don't really talk about where they're from. I've been fortunate enough to fish with a cross-section of them over the years, and their personalities are about as different as people who enjoy common activities can be. But they all share short snippets of wisdom about fishing -- and life -- in their own unique ways. And you can learn a lot about your fishing and life if you're paying attention. Gaston and his guides. At the annual 'Shore Lunch' Gaston's owner Jim Gaston (with camera on left), poses for a photo with the group of guides who regularly wrangle a gaggle of outdoor media types like the professionals they are. Jim Shepherd/OWDN photo. On Tuesday, I asked guide Chuck Meyer what the single most common fishing mistake he saw on a recurring basis. What I expected was the usual rote answer about fishing too fast or not giving the fish the opportunity to take the bait. What I got was a two-pronged explanation about why we weren't having particularly good luck Tuesday morning, and why many of us seem at times to be playing life in the catch-up mode. "Well, pal," he said, "I'd have to say the biggest problem I see, and one I can't really help with a lot of the time: lack of preparation." Boom. Right there he explained why the "Hello, I'm here to fish" approach to the White River -- and life -- frequently doesn't work. He quietly chastened both anglers in the boat with him at the time. I, for example, arrived with a pair of ultralight rigs I'd had good luck with in the past at Gastons. One had been purchased in their shop and the only change was what I'd considered an "upgrade" over the original line. What I'd thought too light for the job was, in fact, exactly what I should have been using on Tuesday. It was a four-pound test light-green monofilament. I'd replaced it with a six-pound, high-tech line that I'd used successfully on some pie-plate sized panfish last summer. But line that's too heavy -- and visible to the fish -- doesn't have much of a chance to work in a fishery that gets pressure every day. Consequently, I wasn't catching a lot of fish although I was getting the bites. Heavier line also disguises light bites in fast-moving water. Without saying anything, I nodded my head with what I'd hoped was an appropriate amount of contrition. The guide may be working for you, but you have to give him the chance to give you the benefit of his experience. My unnamed fishing partner had brought along a rig that was capable of yanking great big fish through heavy brush. It was also rigged with line that could have been used for a tow truck more effectively than trout. We weren't catching fish, but it had absolutely nothing to do with the guide. Unfortunately, many of us are inclined to blame the gear, the boat, the current or the guide when the culprit is sitting inside our own lucky fishing shirt. And it's not like being prepared would have taken that much work. The guide inside every room at Gaston's says very clearly that they suggest “4 lb. green Trilene or green Maxima line, not fluorescent." We'd also ignored the part that said "you can always catch trout on works, Nitro Eggs, Powerbait and corn. Lures that work consistently are spinners, Little Cleo spoons ... and certain fly patterns." We had exactly none of those with us. If it does, you might find it time to take a mental inventory of problem areas in other parts of your life. You might find that your career-equivalent of a professional fisherman's tackle box is lacking some basic gear as well. A fishing guide's income is not really based on his daily rate, although that rate is set where if covers his basic expenses. Guides make a significant portion of their income from gratuities after they've shared their expertise. If you're not adequately prepared to take advantage of that expertise and experience, it's not the guide's fault, but in many cases he'll see that reflected in the gratuity. Sometimes, they'll quietly admit, they've done some of their best work on some of the least productive days. "Sometimes," another guide confided on the dock as I was gathering my gear to leave, "even our best work can't fix problems the fishermen bring with them." We didn't catch a whole bunch of lunker-sized trout on Tuesday, but the gratuity I left reflected the even-more valuable lessons I'd gotten from the guides. That's because I didn't give them a chance to show how good they were. But there's still one question I've asked every professional instructor and guide I've ever met that they can't or won't- answer: "Why don't you laugh out loud at us?"